This charity provides funding for the rural poor and needy in small unreached villages in Southern India. Since 2004, it has built an orphanage for over 40 children, a school for over 150 children and a home for homeless elderly people. The school provides education for orphans and local children who would otherwise be uneducated. 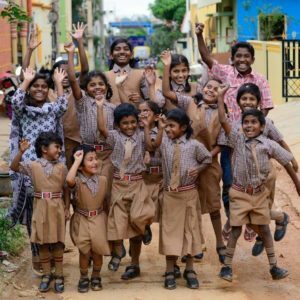 The charity is currently supporting The Bethesda Joy Charitable Trust which has been set up in India to provide monthly food parcels and prescription medicines for poor and vulnerable adults and children. It also provides monthly items for baby girls. Committed Christians Dr. Paula and Mary Ushie are fully qualified medical professionals who have given up their respective careers as Surgeon and Senior Nurse and Midwife to head up Rapha Medical Outreach located in Sardauna Local Government Area, Taraba State, Nigeria. 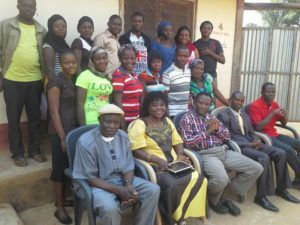 Working from their base in Gembu with the help of a small team, they take the good news of the Gospel alongside providing essential basic, routine and critical life saving medical care for the various tribes and religious groups who dwell on the Mambilla Plateau. They regularly embark on outreach to remote villages to give medical assessments, diagnosis and treatment to those who are unable to travel the distances to receive such care themselves. In addition, they provide health education, midwifery training, antenatal and postnatal care and ensure newly converted Christians receive the support they need to grow deeper in their faith. We are a fairly new charity and we are currently working on sponsoring/helping fund young people from Nepalese mountain villages who would not otherwise have access to higher education. Funding their educational needs is crucial so that they can qualify in various professions and provide financial support to their families back in the villages. The people we will be helping are personal contacts of one of our Nepalese members of St. Paul’s Church. 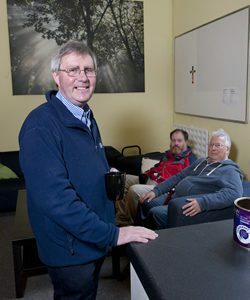 Nick Russell is a Church Army evangelist who used to be a part of the church family here at St Paul’s. Today he works on the Ferrier Estate in South East London. Much of his work is with children, young people and families who find themselves on the edge of society.